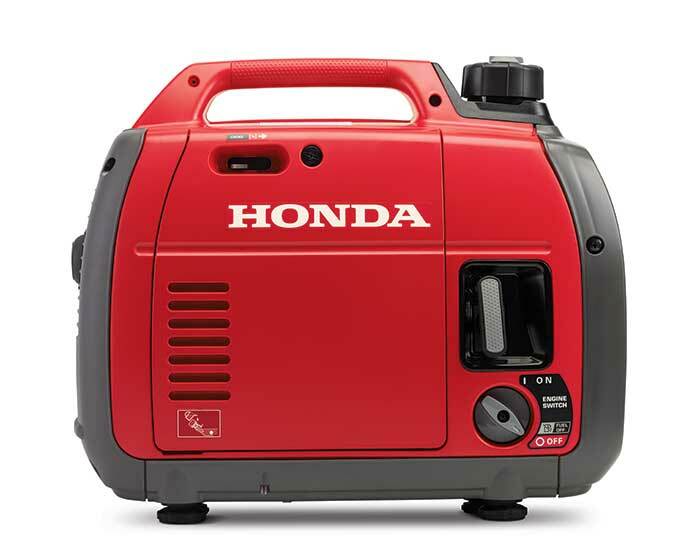 Honda Generator EU2200i Companion with built-in 30A 125 V locking plug and a 20A 125V single outlet to provide easy hook-up for RV and household applications. 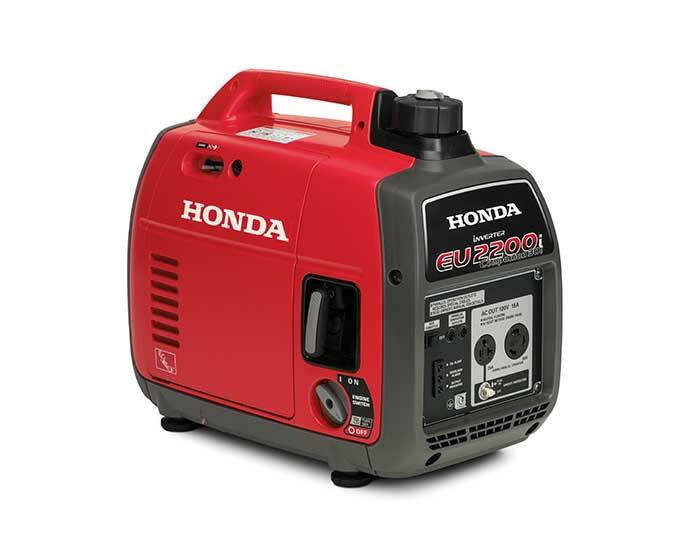 With 2,200 watts of super-quiet power, this lightweight machine also includes parallel capability, so you can add an identical Honda unit for even more portable power. 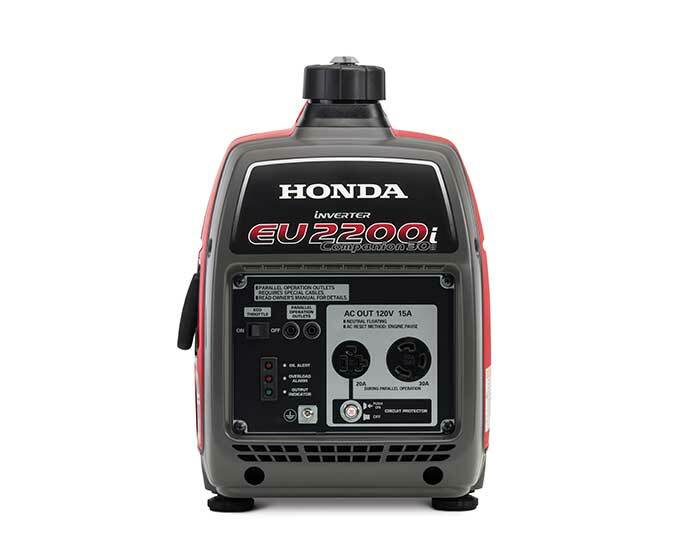 With the ability to run for hours on one tank of gas, the EU2200i is extremely fuel efficient and great for providing overnight power. * Great for portable home use or camping – powers TV/DVD players, refrigerators, small AC units, microwaves, portable fans, sump pumps, coffee makers, hair dryers, etc.